‘A Night At The Opera’ was one of the most expensive, expansive and creative albums of its time and it confirmed Queen as a global rock phenomenon. It was their ‘Sgt. Pepper’, the album that propelled them into rock and roll history, and is a truly classic album. 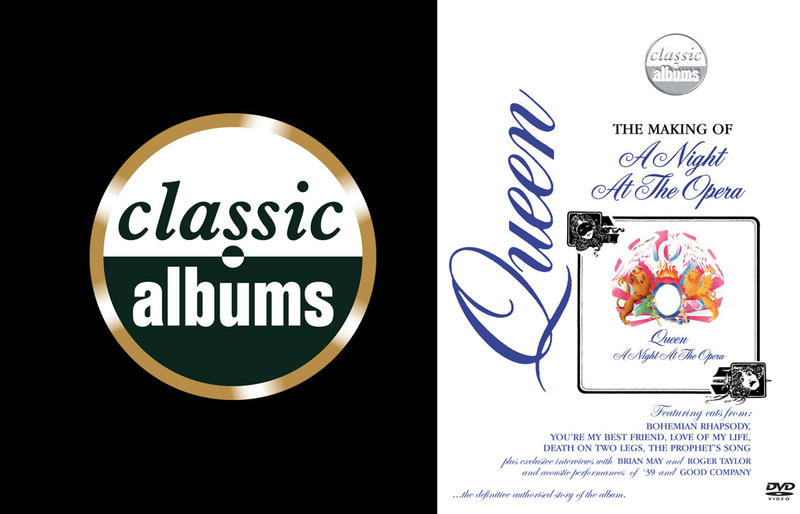 This programme is the story behind the conception and recording of this remarkable album and the dramatic transformation in Queen’s career that took place following its release. By use of interviews, musical demonstration, acoustic performance, archive footage and returning to the multi track tapes we will discover how Queen created the songs and sounds with Producer Roy Thomas Baker. Added comments from rock stars Ian Hunter and Joe Perry, key music commentators, Bob Harris and Mick Rock, and music industry veterans Jac Holzman and Joe Smith puts the album into its rightful place in rock history. ‘A Night At The Opera’ contains the incomparable ‘Bohemian Rhapsody’ and so phenomenal was this track that it often overshadows the rest. This programme redresses the balance and features John Deacon’s classic hit single ‘You’re My Best Friend’, Freddie Mercury’s caustic ‘Death On Two Legs’ and his antithetical ‘Seaside Rendezvous’, Roger Taylor’s gritty rocker ‘I’m In Love With My Car’, Brian May’s folksy ‘39’, and vaudevillian ‘Good Company’ and possibly Freddie’s most beautiful ballad ever ‘Love Of My Life’. It remains one of British rock’s finest moments.